Corinthia Hotels is set to expand its five-star hotel portfolio with the opening of a new luxury property in Bucharest, Romania. 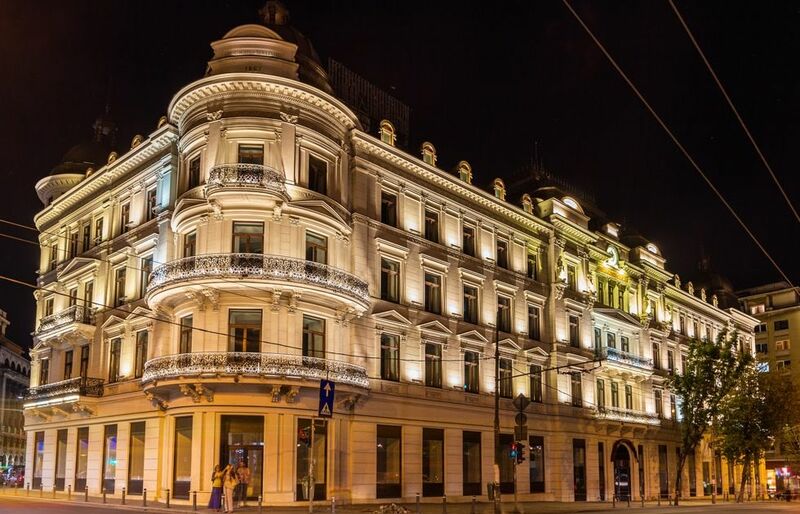 Located in the heart of the capital, the former Grand Hotel du Boulevard will open its doors again on 1 st December 2019, to coincide with Romania’s National Day. Built in 1867, the listed building was last used as a hotel over a decade ago and will now undergo extensive refurbishment to sit in line with the signature standards of timeless luxury and style associated with Corinthia. Corinthia Grand Hotel du Boulevard Bucharest will offer over 50 rooms and suites, exquisite dining options, a grand ballroom, boutique meeting spaces, and luxury amenities. The hotel follows Corinthia’s tradition of restoring 19th century grand hotels across Europe. The award-winning Corinthia Hotel London, Corinthia Hotel Budapest, formerly the Grand Hotel Royal, and Corinthia Hotel St Petersburg, Russia, are all 19th century landmark properties which have been acquired, redeveloped and relaunched by Corinthia Hotels. In Brussels, the former Grand Hotel Astoria was acquired in 2016 and works are currently underway to transform the property back to its original splendour. In Bucharest, Corinthia Hotels’ role will be that of operator under terms of a management agreement signed on the 5th March 2018 with owning company NIRO Investment Group. QP Management, a sister company of the Corinthia Hotels group, will support the developers with project management and cost management services. Works on the refurbishment are expected to commence in Q2 2018. The transaction was advised by Beaufort Global, a leading Investment, Development & Asset Management firm based in Dubai, UAE. On 10th May, 2018, key stakeholders from Corinthia Hotels, NIRO Investment Group, and Beaufort Global Partners, as well as honoured guests, will gather for the Corinthia Grand Hotel du Boulevard signing ceremony celebration. The date for the event, the Romanian Monarchy Day, was specifically selected for its historical and cultural significance to the Romanian people.